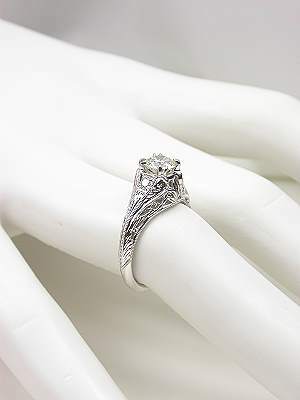 With an intriquing ambiance, this antique style engagement ring is as romantic as a full moon rising over Paris's Eiffel Tower. 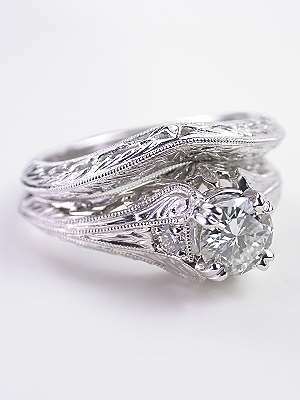 Filigree cut work in a leafy scroll pattern accentuates the 18k white gold band of antique style engagement rings like this one. 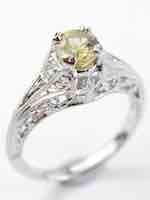 Two round full cut diamonds flank the centerpiece stone. 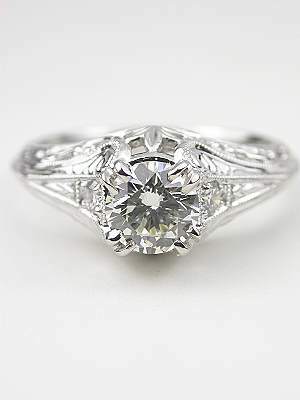 This GIA certified round brilliant cut diamond weighs 0.75 carats. 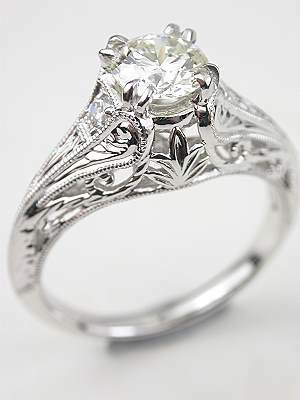 This Edwardian style engagement ring is from the Topazery Dragonfly Collection. 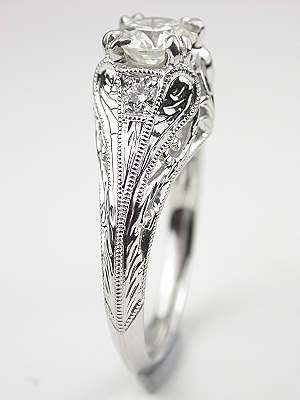 Special characteristics Every ring in Topazery's Dragonfly Collection is based on the design of an original antique piece. 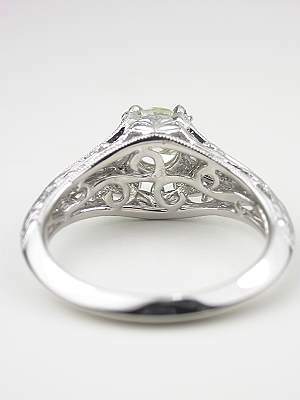 After we sold the original, we had so many requests for this well-loved design that we reproduced this classically elegant engagement ring just for you! 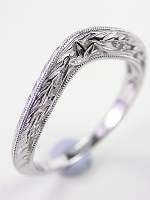 Other notes This engagement ring has a matching band, which may be purchased separately. 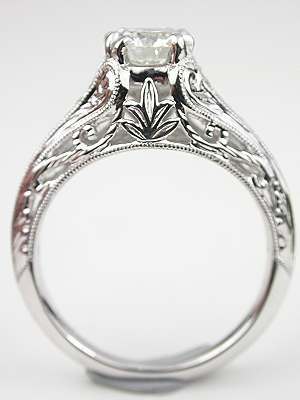 The ring style for the band is RG-3345wb; the engagement ring and band are shown together in one of the photos.